Does Your Living Room Scare Potential Buyers? What’s the most important room in any home? There’s no “right” answer here, of course, but most people say it’s the kitchen. When potential buyers are touring a property, the kitchen is the place where they tend to focus the most of their attention. But close behind it is the living room. It makes sense, when you think about it: These are probably the two rooms where you and your family will spend the most time together, so you want to be sure you choose spaces that are appealing. When you’re on the other side of things—when you’re the homeseller—it’s important to make sure these areas shine. Today, let’s look at the living room, and consider some elements that may be hurting your cause. The goal here is not to be negative, but simply to point out some opportunities you have for making your living room a true selling point for potential buyers. 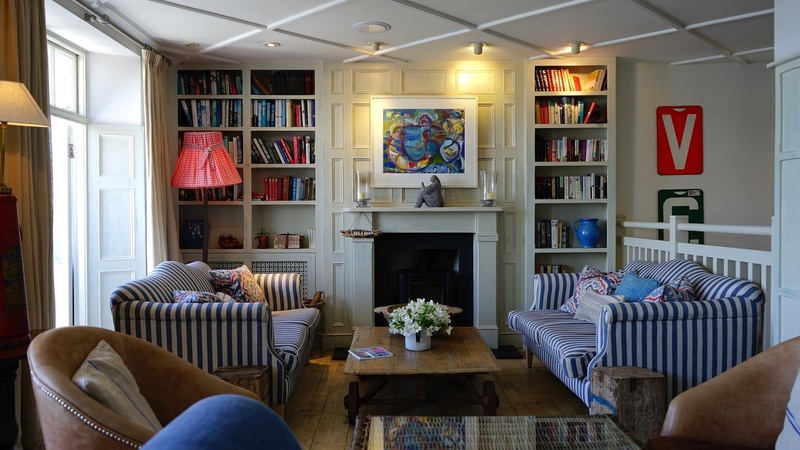 Here are some of the living room issues you may wish to address before you list your home. There’s nothing at all wrong with collecting dolls, or cowboy memorabilia, or whatever else—but these highly niche collections can sometimes be a little off-putting to potential buyers. If you can tuck them away into a closet or even just the basement, it can give your living room a broader appeal. Having pets can make it challenging to sell your home, and sometimes it’s just impossible to remove all the evidence of your furry friends. One thing you can do is vacuum your living room furniture before any showings. That way, nobody sits down on your sofa and winds up with pants covered in fur! This one may seem obvious, but you might be surprised by how many listings I’ve been in that have bug carcasses in the window sills. Again, simply taking a few minutes to tidy up before a showing can really go a long way. This one can rub people the wrong way—and believe me, I get it: You’re proud of your family and you just want to show them off! There’s nothing wrong with displaying a few family photos, but try to keep them fairly minimal. Remember, you want potential buyers to envision their family in your living room—not your family! You want them to feel like the house could really be theirs. Natural light is one of the key ingredients in selling any home; it’s a hallmark of effective staging. So, simply put, you want to minimize any darkness in your living room. Open the curtains and the blinds, and allow the room to have the glow of daylight. The general message here: Treat your living room like it’s one of the major selling points of your home—because it truly is! And for professional assistance staging your living room or selling your home, give my team a call! Contact Ryan Minges Real Estate for any of your North Carolina home selling needs.